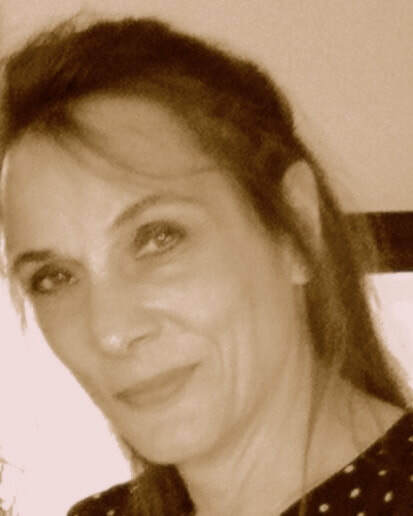 I am a children’s book author who works hard to create stories that make you want to read more and more and more to your young children! There are stories to be told everywhere you look, and none, to my mind, are more important than those stories that reflect the love, bonding, admiration, and inspiration that are central themes to parent/child relationships. That’s why you’ll find that so many of my books focus on those relationships. 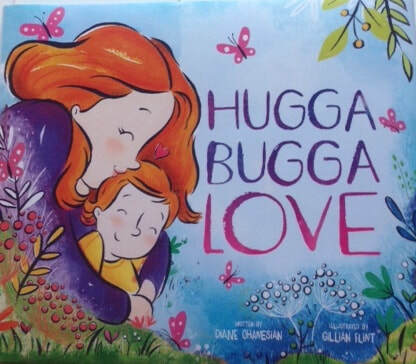 My latest book, Hugga Bugga Love, works to communicate the unspoken magic of that love, that bond, and how it offers children the comfort and security they need as they make their way in the world. To purchase these books, click on the links below! I’m excited to see that you’ve found yourself here! I know that your day is long, that you’re incredibly busy, that the day is just slipping by too quickly... and that you might be able to use a little help! Try some of the activities below with your preschooler. And check back to see what’s new! So what will you do today to add some fun and learning to your preschooler’s day? •One, Two, There’s a Note in My Shoe! How many ways can you show your preschooler you love him/her? How about a simple note tucked into her sneaker or shoe. The next time your child gets ready to go outdoors, or start the day at preschool, have a love not tucked into the shoe. What a surprise to find a love note from mom or dad tucked into the most unexpected of places! Share what the note says with your child. Guaranteed he or she will skip out the door with a great big smile! One person’s trash is another person’s treasure! Have a “treasure hunt” throughout the house with your child. Search for anything that might be tossed away, such as scraps of paper, pieces of “junk mail”, left over wrapping paper or ribbon, newspaper, bottle caps, empty cartons or packaging, etc. Then provide a cardboard box, paste, markers or crayons, and child-safe scissors. Explain to your child that this box is going to be his or her mailbox. Have your child decorate the box with the items you have collected. From time to time, slip a note into the box (this can be a love note, a letter from a relative, a sticker you think your child will enjoy, a birthday party invitation, etc. • There’s Magic in the Air! Take an imagination walk with your preschooler. You might have him/her stoop low to the ground and ask: “ What would you like to see pop right out of the ground?” “What would it look like?” “How would it move?” “Where would it go?” Or you might want to approach a tree and ask: “If you could pour magic dust over this tree, what would it turn into?” “What would it look like?” “What would it say if it could talk?” “Where would you like to take it?” Try to ask questions that require your child to offer more than a “yes” or “no” response. You may be surprised by your child’s active imagination! Try this activity to support your child’s ability to recognize his or her name in print, as well as strengthen creative thinking skills. Print your child’s name in bold letters on a large piece of paper. Have your child decorate the name in any way he/she likes. (Your child may choose to add designs or details to each letter, decorate the area around his/her name, draw a picture below the name, etc. It’s up to your child!) Later, display your child’s name in an easy to see place where his/her name can be showcased and admired! Tips to Brighten Any Day! Nothing picks up a dull day like a change of scenery—in your own home! Try setting up a small pup tent in your living room/family room/den. This need not be a store-bought tent. You can make one simply by covering a table with a large blanket. Fill the tent with art supplies, a CD player so your child can listen to favorite tunes while working, some favorite toys, and voila! A brand new place for your child to work and experience! Keep the “flaps” open so you can see what is happening (as well as for safety) while your child enjoys his/her new environment! What parent doesn’t imagine all the wonderful times they’re going to have with their young child through the years? Moms and dads everywhere easily conjure up images of their little one’s hand tucked up in their own as they walk through the woods or around a city block, snuggling up with a sweet picture book, feeling the warm sensations of hugs and more hugs at bedtime…. or anytime! What We’ll Do, Just Me and You! 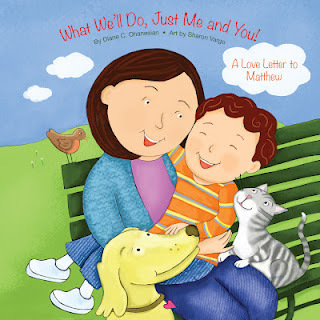 brings these endearing and universal images and feelings into focus, and wraps them up into a sweet love letter from parent to child. The rhyming text and delightfully charming illustrations, by illustrator Sharon Vargo (sharonvargo.blogspot.com) work together to send the message of a parent’s love to preschool-age children everywhere. "What We'll Do, Just Me and You!" can be personalized with the name of your own young child. Just click on this link http://www.frecklebox.com check "personalize it" and watch the magic happen!